See this post for an explanation of this Summer Book Club. Follow week 3’s post at Simple Homeschool. I’m really late with this! Week 3 was actually two weeks ago, but we have been traveling the past few weeks, so we’re behind. 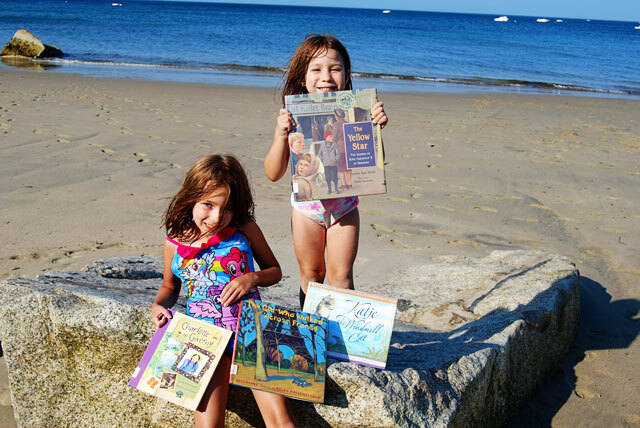 I did check out the books for Europe and took them with us to the beach! And got a picture on the beach just for fun. :-) The girls thought I was crazy but they humored me. 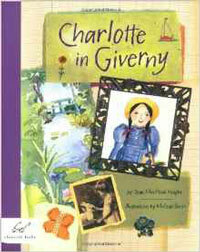 It’s 1892 and Charlotte is bound for Monet’s famous artist colony in Giverny, France, where painters like her father are flocking to learn the new style of painting called Impressionism. In spite of missing her best friend, Charlotte becomes enchanted with France and records her colorful experiences in her journal. She makes new friends, plants a garden, learns to speak French, and even attends the wedding of Monsieur Monet’s daughter! ** This is a longer book and we haven’t finished it yet. However, Savannah loves art so she’s been very intrigued by this story. I love how it’s part art history and part learning about France. The style and layout make this book really fun and interesting. ** My girls really loved this book, as did I because, well, it’s about a cat. :-) We were very sad for the cat but don’t worry, it has a happy ending. :-) I tried to point out the countryside in the illustrations on each page, but I’m afraid I don’t know French landmarks very well and wasn’t able to be very detailed. However, it’s a sweet story and I’d recommend it especially for the cat lovers out there. ** I loved this story, but I think it was a little beyond my girls’ heads. We did talk about the Holocaust when we read Twenty and Ten last year, but I think it’s really hard for Savannah to grasp the horrors of what the Nazis did, and just how serious it was to be a Jew in Europe at this time. I haven’t pushed it – she’s still so young – but I think that made it harder for her to understand how cool of a story this was. Perhaps we’ll revisit it in the future, when she’s much older. 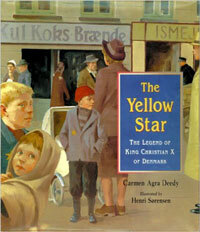 This heroic tale was inspired by a true story that took place over 500 years ago. 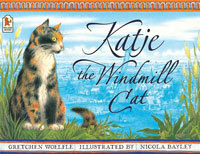 It tells of Katje the windmill cat who lives happily with Nico, the miller, in a Dutch village by the sea. But when Nico brings home his new bride, everything changes. Katje is shooed away by Lena as she sweeps the house or when she finds Katje playing with the new baby. Eventually poor Katje leaves her home and moves into the windmill. But when a storm breaks the dike that holds back the sea, Katje performs a feat of extraordinary courage that makes her forever welcome in the house. Hands down my favorite book of the ones we read this week. Of course, it’s a happy tale about a cat, so you know I’m going to like it. My kids really enjoyed it too, and we got to talk about the Netherlands and dikes and sea level and flooding. 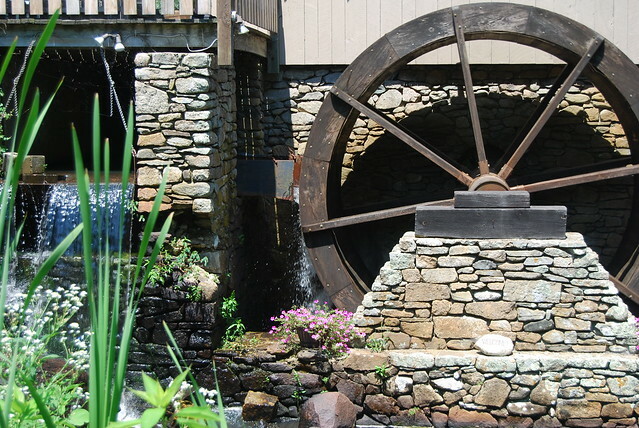 Also, this just made it even cooler – the day before we read this book, we happened to visit the Plimoth Grist Mill in Plymouth, Massachusetts, which is a working grist mill and a replica of the one that served the town in the mid 1600s. We got to watch them set the stones up and then grind the corn, and we learned all about how mills worked. 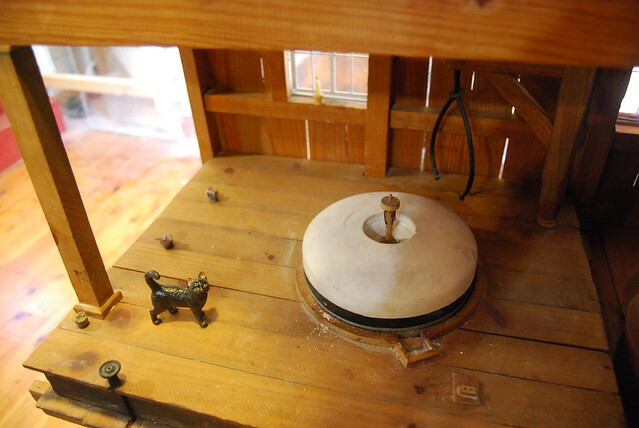 One thing they had was a little model of the mill, and a little cat and two little mice. I actually took a picture of it because, cat. And pointed it out to the girls and we talked about how cats were kept as mousers and how it was an important job. So, the next day we read about Katje who lived in a mill and who had an important job of catching mice! The girls were so excited to make that connection, and I just love to see all this learning going on! I might buy this book for ourselves because I liked it that much. 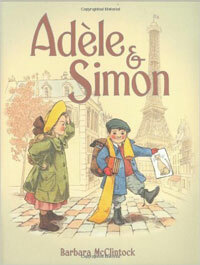 When Simon’s older sister, Adèle, picks him up from school, he has his hat and gloves and scarf and sweater, his coat and knapsack and books and crayons, and a drawing of a cat he made that morning. Adèle makes Simon promise to try not to lose anything. But as they make their way home, distractions cause Simon to leave something behind at every stop. What will they tell their mother? Detailed pen-and-ink drawings – filled with soft watercolors – make a game of this unforgettable tour through the streets and scenes of early-twentieth-century Paris. Illustrated endpapers extend the fun by replicating a 1907 Baedeker map of Paris. 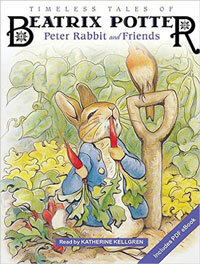 ** This is a sweet little book that Caroline especially enjoyed. 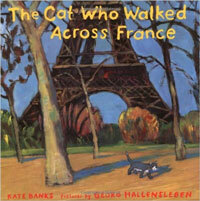 It was similar to the Cat Who Walked Across France, but this time is only a small part of Paris. But, they both enjoyed following each page and trying to find the item that Simon lost. Oooh these look good! I’ve been grabbing a few titles from my Give Your Child list for each library trip, and they have been fun. Sometimes, I like to grab an audio book and the physical book so they can look at the illustrations along with the narrator. It is convenient if it is a library pack that has the CD ding to tell you to turn the page, but that’s not always the case.